Week 1 (October 1-15): Refer A Friend! Kindle Fire HD prize! We’re showcasing our awesome new Refer A Friend program by offering up a Kindle Fire HD to one lucky winner! This two-week sweepstakes runs from October 1-15 which gives you plenty of time to rack up as many entries as you can. Enter with the Facebook app and/or by sharing with friends through our new friend referral program. 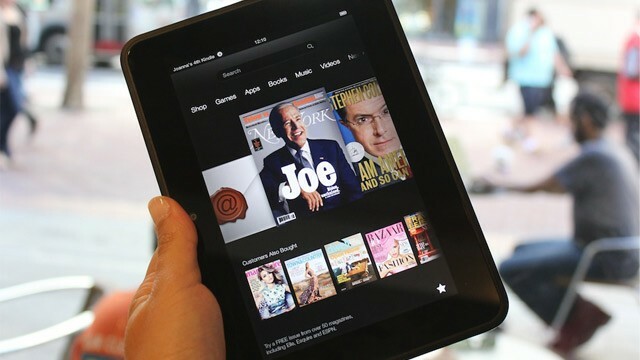 One winner will be randomly selected to win the new Kindle Fire HD. Winner will be contacted within a few days after October 15th, 2012. Sweepstakes is open to all residents of Canada, US, and Puerto Rico ages 18 and older. You do not need to be a Trupanion customer to participate. AND/OR visit http://trupanionfriends.nextbee.com/ and start referring. Every social media post and referral e-mail counts as one entry into the raffle! Have you seen the hilarious dog/cat shaming meme going around the internet? It’s time to get creative and let us know what your dog or cat is guilty of! We would like to see YOUR pets in these photos, so this week we’re calling for your dog or cat shaming example to enter the drawing. Write up a sign that describes your pet’s shameful behavior* and then take a photo of your pet next to the sign. Send it in and you’ll be automatically entered into this week’s drawing for a $25 gift card! All entries will be put into a random shuffle and one winner will receive a $25 gift card. Winner will be drawn on Friday, October 12th. On Monday, October 15, 2012, we’ll post a picture of a puppy and it’s your task to guess its breed! Another clue will be posted on Wednesday and the reveal will be on Friday! All correct guesses will be put into a random shuffle and one winner will receive a $25 gift card! Correct guesses made on Monday and Tuesday will count for 2 entries into the hat and guesses made on Wednesday will count for 1 entry into the hat. Is your pet going to dress up for Halloween? We want to see his/her costume! This week, send us a photo of your costumed pet to enter the drawing for a $25 gift card. If your pet is one of the many who will be dressing as themselves, send in a picture of them that represents fall! Think Halloween decorations, pumpkins, leaves and more. All photo entries (limit one per e-mail address) will be entered into a random shuffle and one winner will be drawn for the $25 gift card. Honorable mentions will be featured on our blog. You have until Halloween day to send in your photo, so don’t worry if you’re a last-minute costume shopper!